Fanatic AP Fish Tank Assembly! – These Fish Will be Living Large! 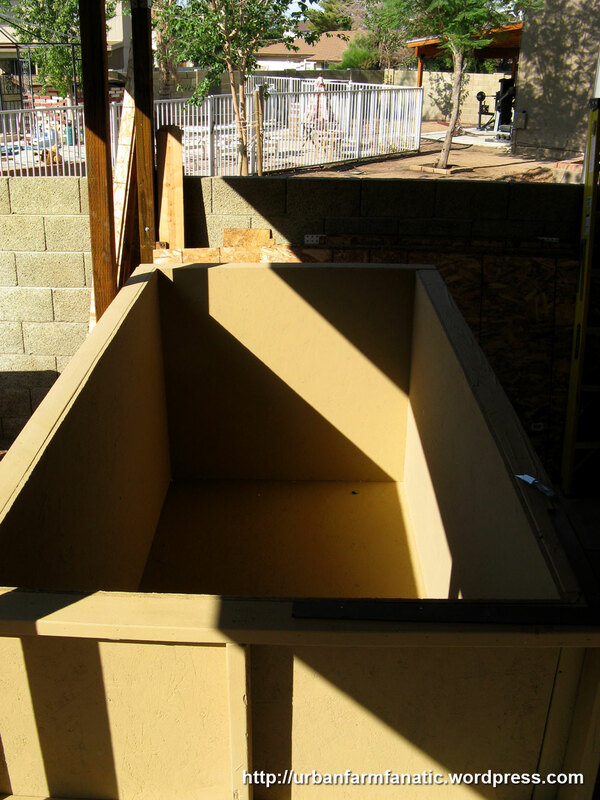 Well, finally getting into the homestretch with regards to the Aquaponic fish tank. I’ve got all the sides bolted together and am currently adding in the foam insulation. This project is without a doubt the longest pet project I’ve ever taken on (besides the chicken coop build). I made an attempt to start the assembly over the hole that has been dug for it, but found issues with regards to everything lining up like it was supposed to (i.e. all the angles staying straight and true). So brought it back to the porch and had the assembly done there. I did note some issues with one side not lining up proper as I had originally hoped. Had to take some liberties with regards to the fastening of the bolts in a different fashion for that side. Thankfully this also proved to be considerably stronger since the bolts then went through three 2×4’s versus only two. The foam insulation cutting has been going relatively easily. Only bad thing was that not all the recessed areas are of the same size, so have to custom cut each one for fit. Should have those completed by mid-week. Now the big issue is gonna be moving this beast from the porch to the hole. As I had to modify my being able to build relatively close to the hole and instead build on the porch, there’s gonna be some extra grunting involved in getting it to its final destination. I know my buddies are not going to like me after whatever day I can get them all together to take on this task. I’m going to have to remove either one or two sections of PVC on the Greenhouse in order to provide enough space to two people on each side to get this over the hole. At any rate, it has been fun in the building of the tank itself. Yes, hindsight is 20/20 and there are a few items I would’ve done differently in building the tank knowing what I know now. But thankfully that knowledge will carry over to version 2.0 of the AP say 3-6 years down the road. 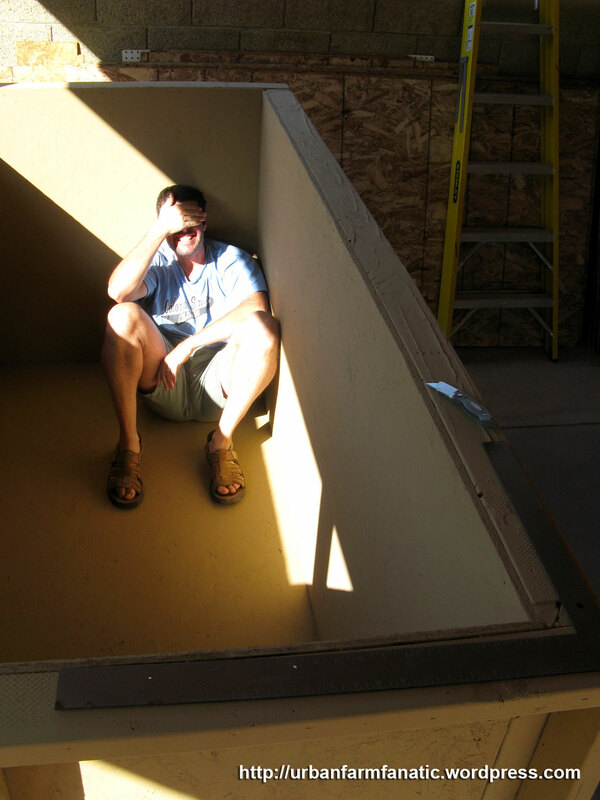 For fun I thought I’d post a shot of myself in the tank to help people get a good reference on its size. I’m 5′ 11′ and I barely take up a corner of the tank! 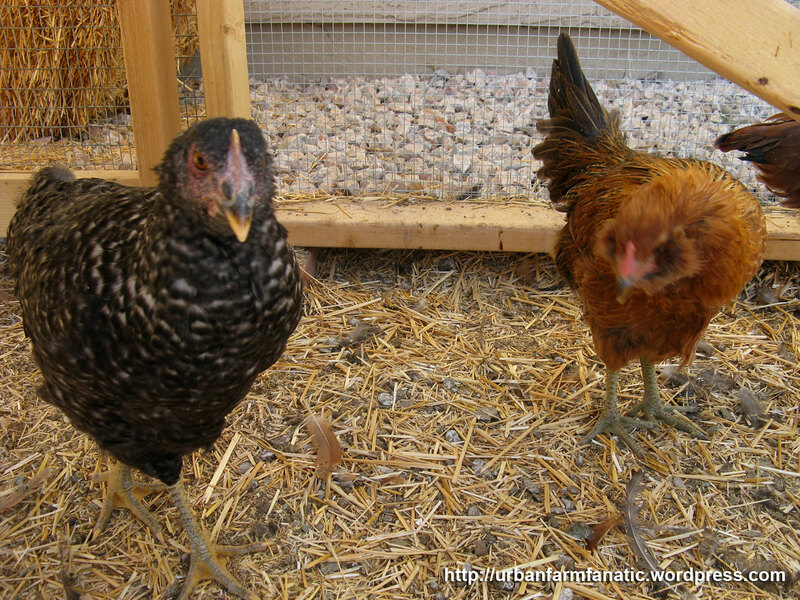 Fanatic Chicken Update – Week 12 – Let the Feathers Fly! Well, initial thoughts are these… they are all just fascinating to watch! I’d say the only one that has actually gotten prettier since being a chick is the Americauna (Easter Egger). She has got the most colorful plumage of the lot, plus the decorative feathers around her jowls really add interest versus distracting from her. She’s also the most friendly of the bunch, being a more placid bird. The Cuckoo Morans (the black ones) are by far the biggest as well as highest on the pecking order. They are not fans of being held, but will relax the longer you hold them. They are also the most curious of the bunch and will always be the first to inspect something new that comes into their territory. 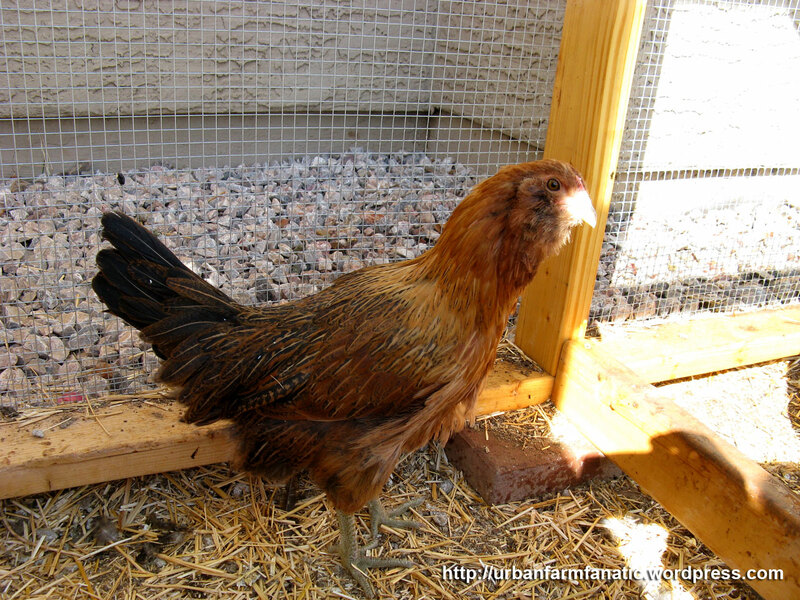 Lastly the Rhode Island Reds, have a great color, are a bit milder than the Cuckoo’s, but tend to be the last to the party. All the birds recognize us on sight and look forward to us refreshing their wading pool (helps to keep them cool in the triple digit heat). All of them now recognize that we will provide them scraps as treats on a regular basis. Watermelon is their favorite 😉 and boy can these gals poop! Surprisingly though the straw does a wonderful job of neutralizing any odors. Right now I clean out the straw every 2-3 weeks as needed. They have also been remarkably quiet. 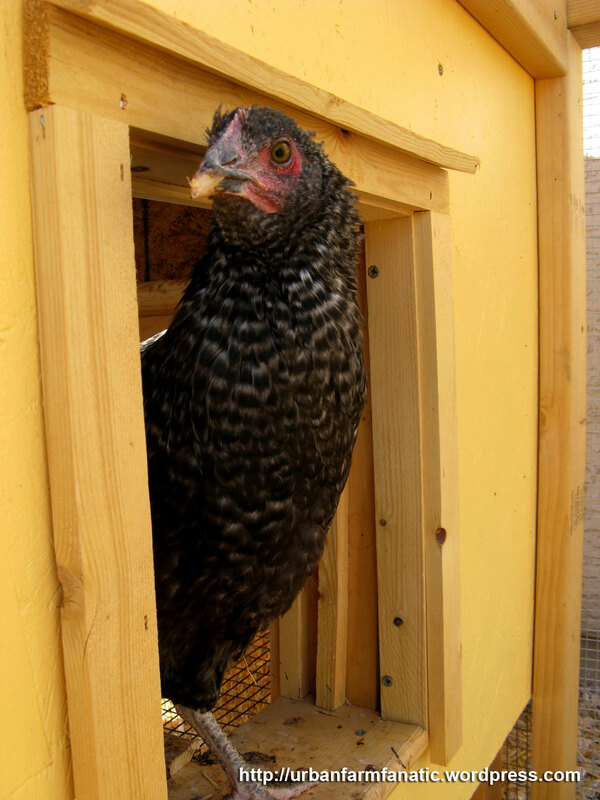 My initial worry about having chickens in an urban setting was the potential for disturbing our neighbors. But for the most part the ladies have had impeccable behavior! The local dogs and wild birds make more of a clatter than these girls ever do. So my concerns have been placated. We’ve got another 8 weeks before we start seeing our first eggs, but that’s fine. Its just as enjoyable taking care of the birds and watching them learn about their world around them. Eventually the plan will be to allow them free range of the entire yard during the day (after we’ve secured a few areas in the yard and clip their wings), but for now they seem happy and healthy! Give Us a Thumbs Up! 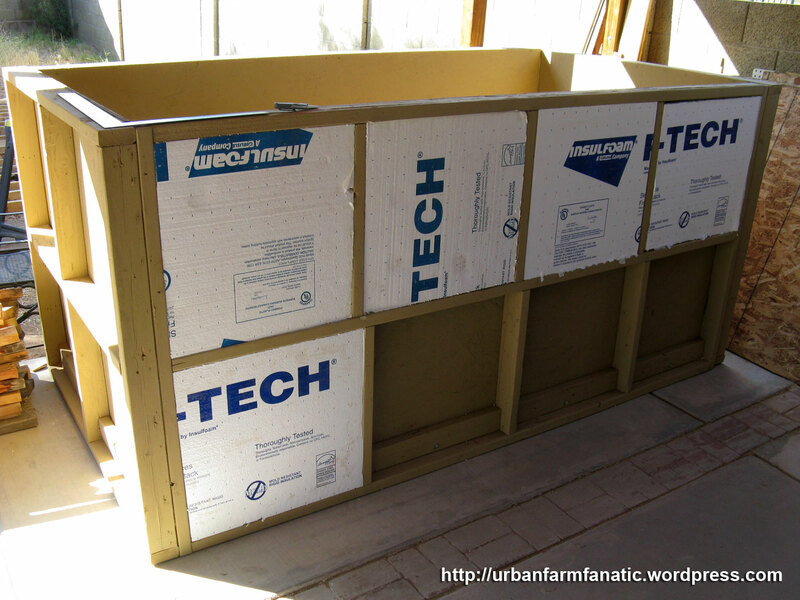 Fanatic Fish Tank Build Continues - Framing Complete!